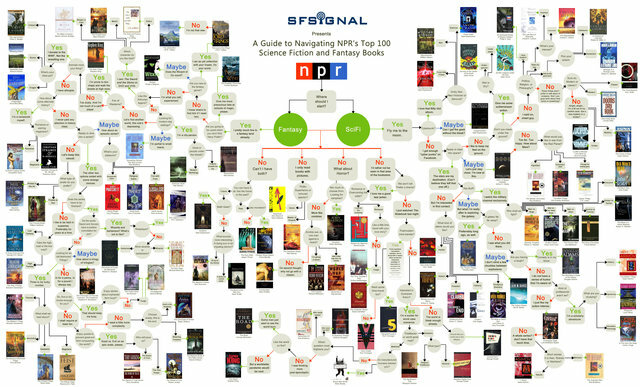 SF Signal has create an interactive guide to NPR’s top 100 list of science fiction and fantasy books. They have create a beautiful flowchart and a pretty nifty interactive web app. The flowchart is good to download and print out (if you have a 52″ x 40″ printer), and the interactive app is just plain cool. So if you need to decide what to read, give this guide a try! Next story Authors Need Sponsors!